As most of you know, I’ve been trying to eat healthy, and live a low calorie lifestyle, but I have a confession….I LOVE pizza. More than any sweets, or any other kind of bad for you food, I just want pizza. But when I realized that most pizzas can pack up to 300 calorie a slice (and really, who can stop at one!?) I knew I had to find some way to enjoy pizza, without feeling super guilty afterwords. By making some minor adjustments, I made a super yummy (and filling) Low Calorie Flatbread Pizza Recipe out of a single piece of flatbread! By thinning the bread, switching out regular pepperoni to turkey pepperoni, and making sure you grab a part skim milk cheese, you are saving a lot of calories without sacrificing taste. 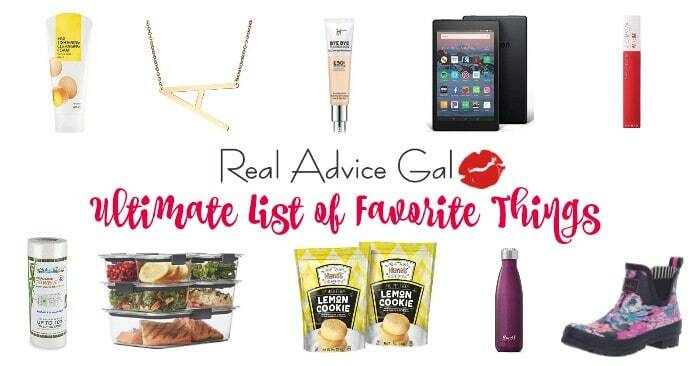 Perfect for your tastebuds and your waistline! 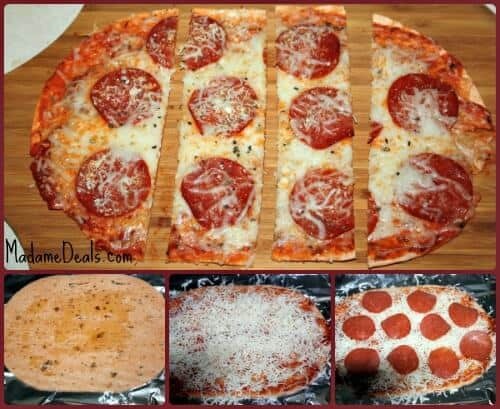 Using a spoon, spread your pizza sauce evenly over your flatbread. Add you cheese, reserving a little for the top of the pizza. Sprinkle your remaining cheese on top. Bake for 7-8 mins, or until cheese is bubbly. Let cool slightly and slice. Add some oregano and split with a friend! This recipe is super easy to make, and it is sure to be a favorite with your kids as well! If you don’t like pepperonis you can always switch them out for veggies, or other low calorie meats! It’s a great meal for you to make with your kids as well, and if you have people that all want different toppings, it’s easy to make different ones for different people! 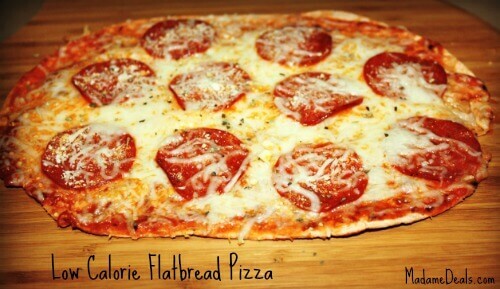 What would you put on your Low Calorie Flatbread Pizza Recipe? Share it with us below. Looking for more Low Calorie Meals? Check these out!